Inspired to book the holiday of a lifetime? Here are 7 things to know before you start planning your African safari. Something that people seem to forget when they’re on a safari is that the animals they’re encountering are wild – as in untamed and unpredictable. Never leave your car while game driving through a reserve (unless you reach a demarcated picnic area), don’t put your hands out of the windows, don’t drive too close to animals and use common sense when approaching dangerous animals such as elephants, which have been known to charge cars from a distance. 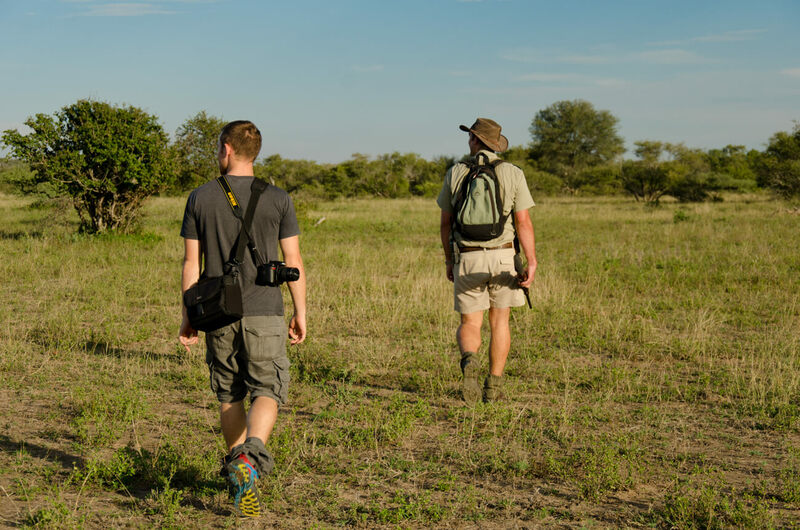 Malaria is a risk in many African safari destinations, and you should consult with your GP or travel clinic before you travel to Africa to see if the areas you are going to be visiting are risk areas. If they are, ask the doctor about prophylactics you can take. There are a couple of different options, some much more expensive than others (but then they have less side effects). Find out all the information you need to know before making a decision. The peak season for safaris is generally during the dry period, which runs from about June to October in many African countries. The reason this is the busiest time is that foliage is dry, making animals easier to spot, and the lack of water draws animals to water sources like manmade waterholes (which are often next to roads or parking areas) so wildlife viewing is a breeze. However, going in the off peak season also has its benefits – discounted activity rates (such as gorilla tracking in Uganda), discounted accommodation prices, and less crowds. For the best times of year to visit specific parks and reserves, check out our guide on when to go on safari. Flights within Africa are generally pretty expensive, especially if you’re used the budget airline prices of Europe, Asia and North America. If you’re wanting to visit a few different countries on your African safari, be prepared to shell out a lot of money to fly around. Even better, instead of flying go overland! An overland African safari will give you the chance to see much more of Africa just by the fact of driving between places and seeing landscapes change. We have a huge range of budget African overlanding safaris, ranging between a few days to several months. Everyone knows about Kruger National Park in South Africa, the Serengeti in Tanzania and the Masai Mara in Kenya, which means that these flagship reserves can be packed full of visitors – sometimes there’s a traffic jam when there’s a wildlife sighting! While these reserves are famous for a reason and a visit to them will not disappoint, there are many lesser-known, smaller parks and reserves all over Africa filled with animals and great scenery, but without the crowds. While a safari holiday is fantastic, it’s a good idea to mix up your bush time with a bit of beach time while you’re in Africa, just so you have a contrast and change of pace. Many African countries offer both great wildlife viewing and wonderful beaches, such as South Africa (where you have the beaches of the Atlantic Ocean near Cape Town, as well as the warm waters of the Indian Ocean along the eastern coastline), Kenya (where you have a beautiful coastline and tropical islands), Tanzania (for the idyllic and exotic Zanzibar Island) and Malawi (where there’s a huge inland freshwater lake fringed with lovely sandy beaches). You’ve probably heard about the Big Five – buffalo, elephant, lion, leopard, rhino – and you’re keen to see all of these animals on an African safari, because that’s what a safari is all about, right? Wrong. While it’s thrilling to see any of the Big Five animals (or indeed, all of the Big Five on a trip), it’s not the most important part of an African safari experience. Going on safari is a rare chance to be immersed in wilderness area, of which very few remain on our planet. Everything you see – whether it’s small birds or insects or antelope – should be an exciting experience. If you look at it that way, you’ll have much more fun on your safari than if you’re just gearing up to see the big, famous, dangerous animals.